Duck Dynasty font here refers to the font used in the title of Duck Dynasty, which is a reality television series first aired on A&E in 2012. 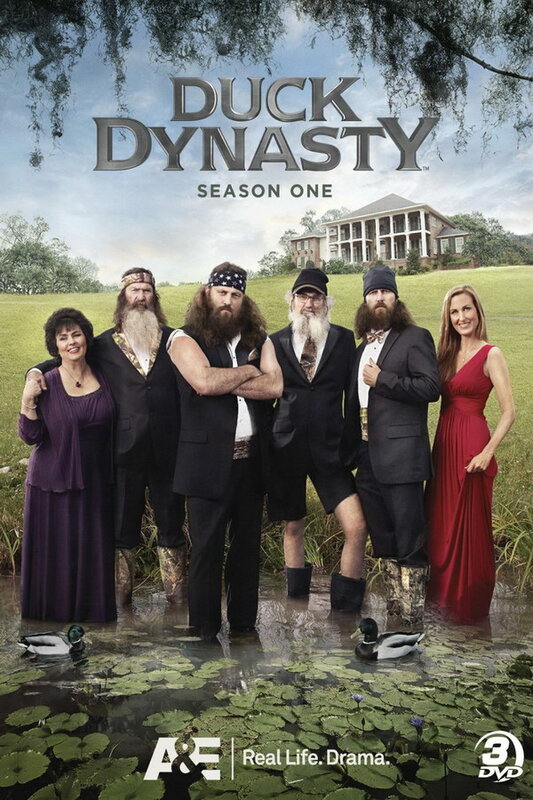 The show centers on the lives of the Robertson family, who live the American dream as they operate a thriving business while staying true to their family values. The font used for the title of the show is probably ITC Newtext Demi designed by Ray Baker. The font is a commercial one and you may view more details about it here. The Newtext font identified above is not available for free, please follow the link above and purchase the font. Meanwhile, you can take a look at our collection of fonts for cars, pop music and apparel as well as round-ups of new & fresh fonts around the web. In addition to Duck Dynasty, Newtext typeface is also used in the following logos, movie posters or album covers etc., including: The Adventures of Pete & Pete, Tesco, Leicester City FC.